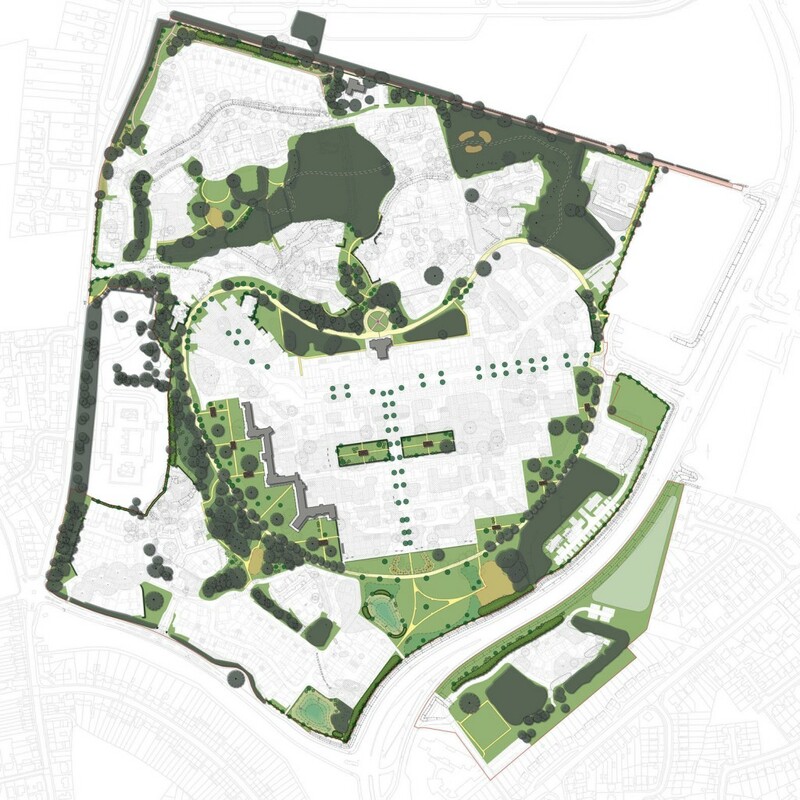 Working on behalf of a consortium of developers comprising Bellway Homes, Bloor Homes and Taylor Wimpey UK Ltd, CSA’s landscape team have been preparing the landscape and recreational strategy for the redevelopment of the former Severalls Hospital site in Colchester. The site forms part of a former mental institute and contains several listed buildings. The grounds are also listed on the Register of Historic Parks and Gardens and as such called for a very sensitive approach to the landscape design and detailing of this historic site. When complete the site will provide around 700 new homes and CSA are now working with the consortium to discharge the various landscape conditions.